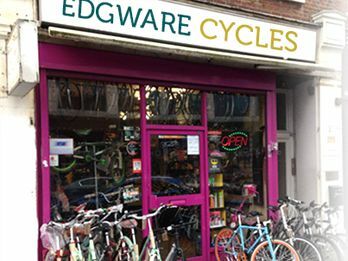 Edgware Cycles is the trusted name in the field of bicycle repair and supply of New and second hand bicyclesamong Bike shops in Edgware. All bicycles will be sold with one month free service and guarantee (excluding punctures, tyres, wheel true, suspension forks and hydraulic brakes) and two weeks exchange. All of our bicycles are completely serviced and test ridden before selling and any defective parts has been changed with similar parts or upgraded. This guarantee does not include labor, transportation charges and any loss of work. We get second hand bikes through purchasing from different places and gives finished shape to these bikes. We turn these bikes as new with brilliant expertise of our team of adepts and make these old bikes with new life. We got many experts of this field, who perform their duties as our employees in a way to help our customer by giving them best advice at the time of purchase. We offer second hand bikes, center points, links, tires, tubes, brakes and almost every spare part probably used in routine while repairing .You will find out many modification accessories of branded and non-branded bikes. Our bike expert team love to do repair and sell bicycles which shows positive passion for cycles. Edgware Cycles offers wide range of accessories and spare parts for its valued and respected customers. Best quality of accessories are included with saddles, helmets, multi tools, lights, bells, grips, pumps, locks, pannier bags, baskets, mudguards, carriers and parts. We also deal in vast range of bicycles like BMX, mountain bikes, racers, kids and road bikes. We assure you for the availability of various brands of bicycles such as Falcon, Viking, Raleigh, Tiger, Carrera, Condor, Kona, Giant, Claudbutler, Probike, Dawes, Trek and many more. Edgware Cycles got strong commitments with its customer to provide perfect condition second hand bicycles as new one and they can rely on the quality of the spare parts and the service standard set by our team players. 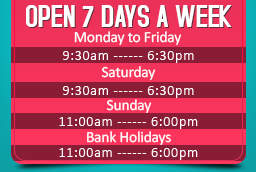 The buyers will be welcomed at our repair and service station with govern time table on our website’s Home page.